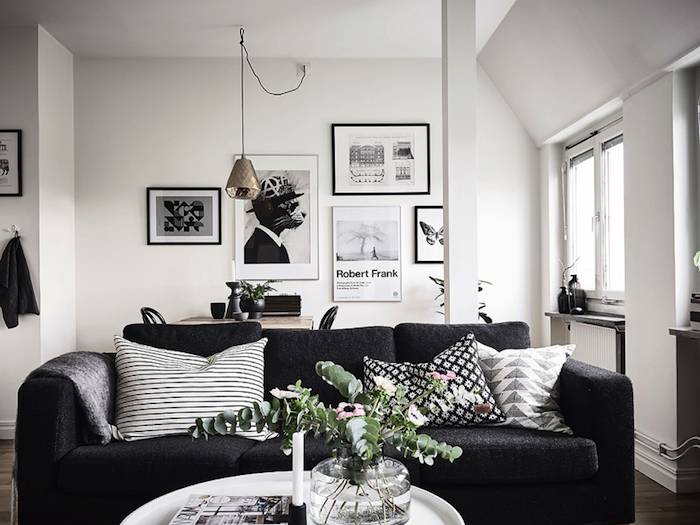 This is yet again a fantastic example of how you can create a perfectly functional and inviting small home in style! 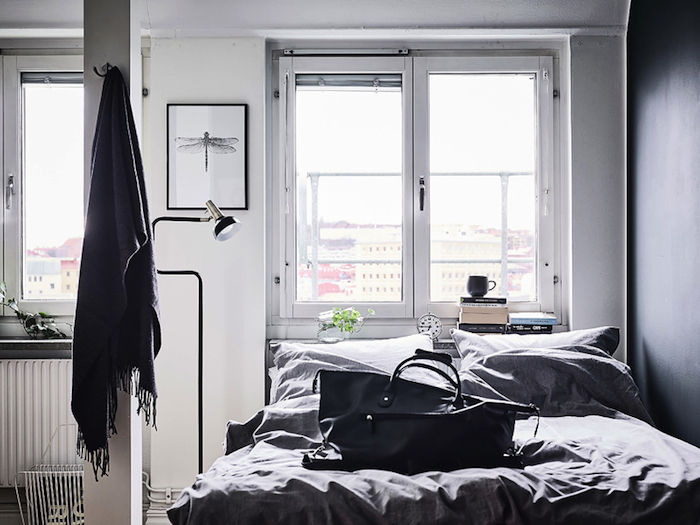 The bedroom, living area and dining room are all fitted into one open space of 36 square meters. 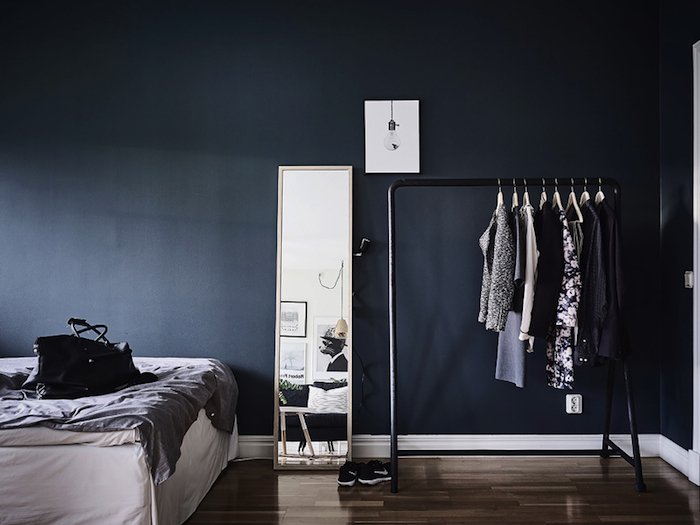 The place feels spacious and cozy, and not at all crowded despite what one might expect from such a small-sized apartment. 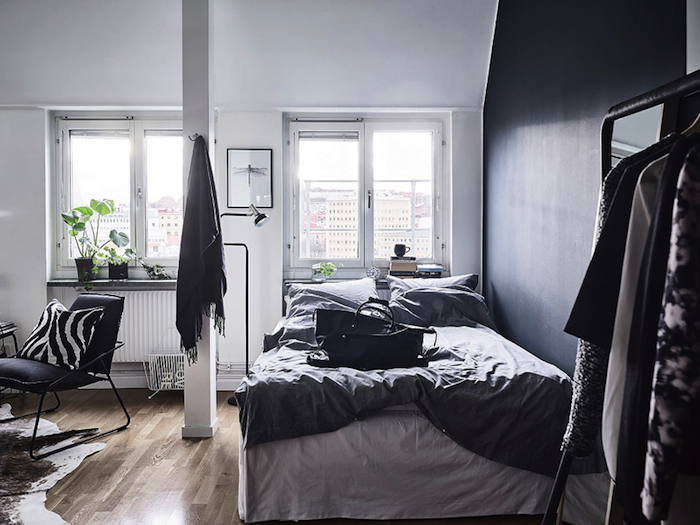 I like how the grey walls define the sleeping area. 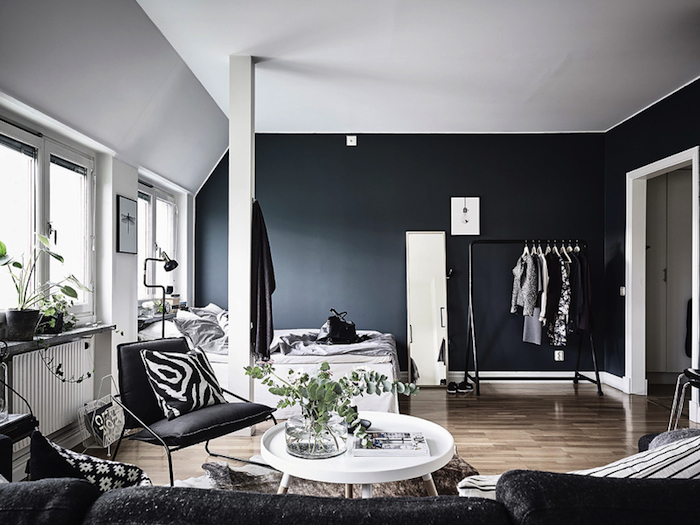 Notice how, contrary to popular belief, a dark wall colours doesn’t necessarily make a space feel smaller. 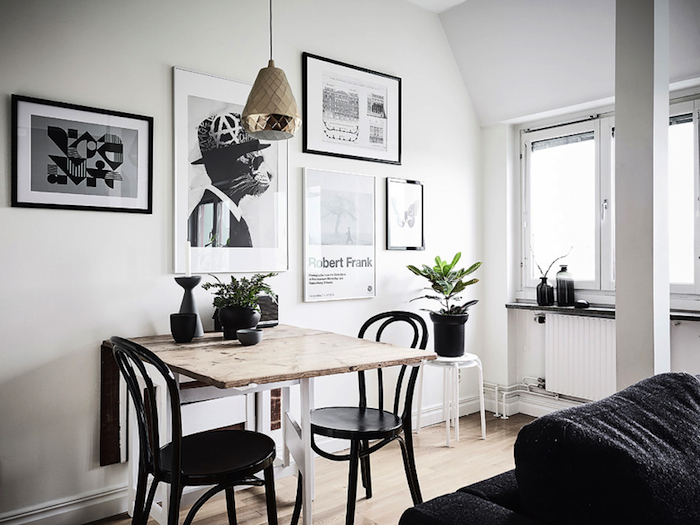 It surely helps that white is predominant and offers a luminous contrast. 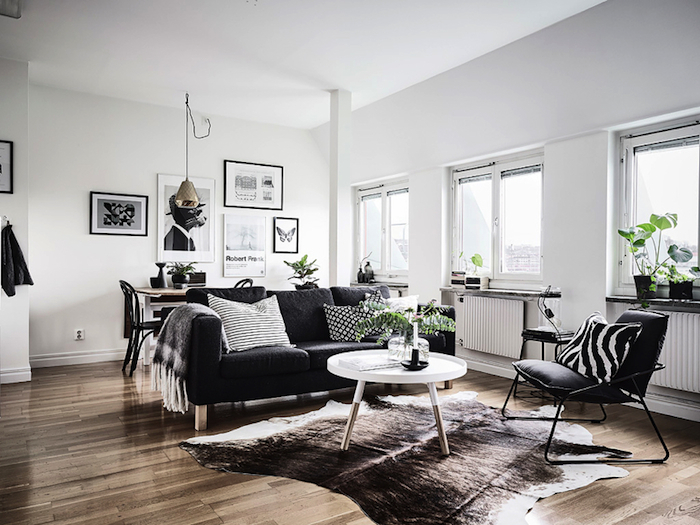 The wooden floors, with its warm hue, really grounds the interior’s monochrome look. What a pretty little place! Click here for more small homes inspiration. 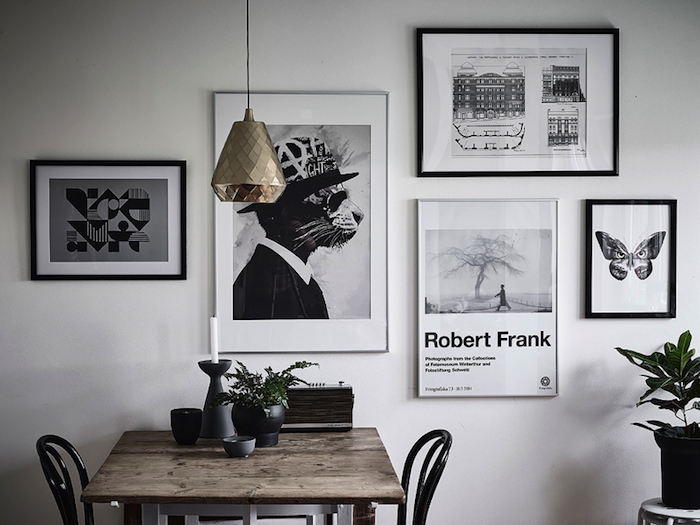 Do you know the source for the middle poster with the hatted animal-masked portrait?..